This is the first aerial photo of the area that is on record. 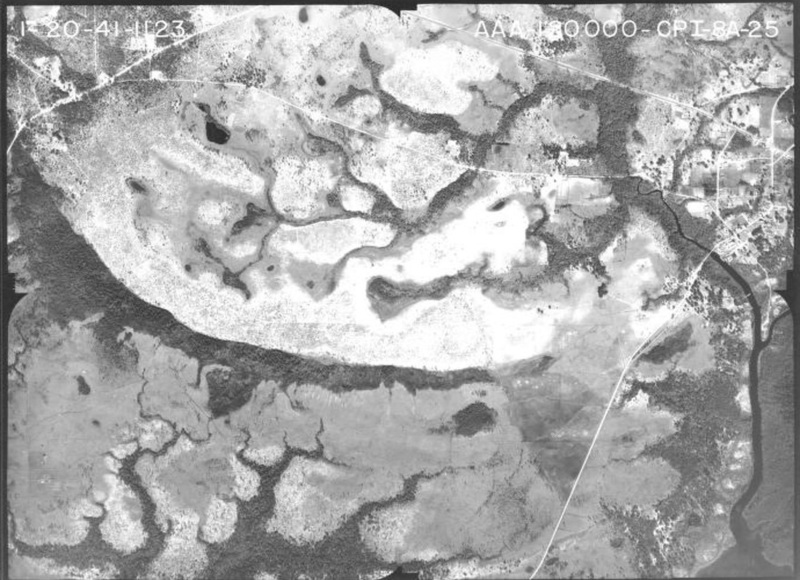 Note the area on the right side of the photo where Four Mile Creek joins with Lafayette Creek. 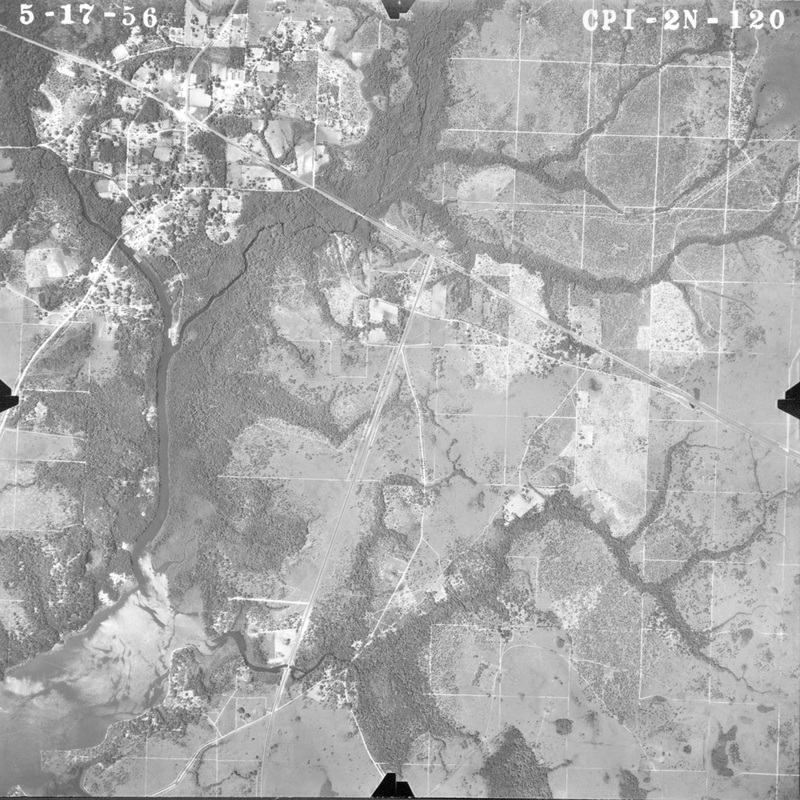 Land clearing to the left side of the junction indicates a property line tied to the original grid location of the section line below the junction.